Turquoise at Treasure Island, The Jewel of the 1000 Islands! - Treasure Island! 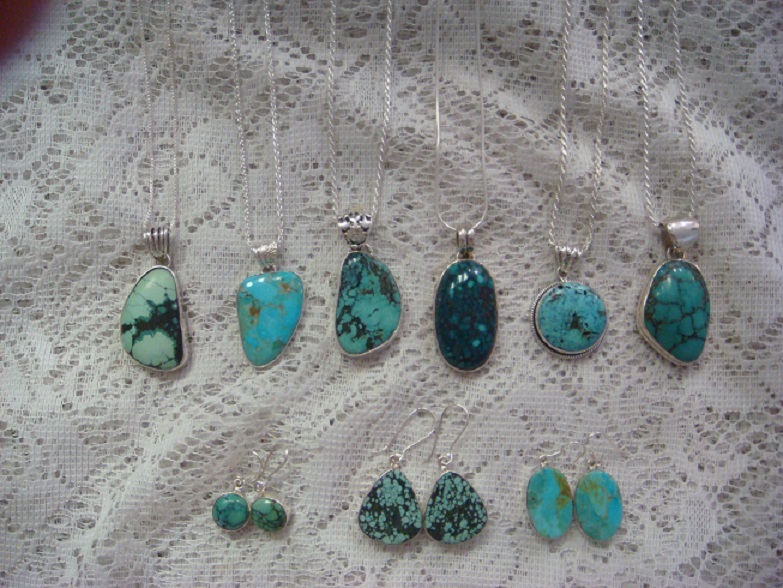 Turquoise is found in the desert areas of the southwest United States and Northern Mexico, as well as the Himilayan Mountains of China. It is a highly revered stone to both cultures, and has been called 'The stone of the Ages'. Unfortunatly, the stone has become all but exhausted in North America, and the material coming from China is inferior and drying up. Almost all the 'turquoise' in the marketplace worldwide is not turquoise at all, but dyed Howlite, an common material. My brother Phil and I learned the art of metalsmithing in New Mexico in the '70's, and dealt with the various tribes and mines as well. I am, I suppose, an authority in the east on the stone, and still have sources for not only genuine turquoise, but vintage Native American made "pawn" jewelry.